The Budget SLP: What do you want to be? With practice, you can make simple books for your whiteboard, computer, or iPad with Microsoft PowerPoint in less than 30 minutes. I made this one in 15 minutes with great photos and other clip art, all from Microsoft. 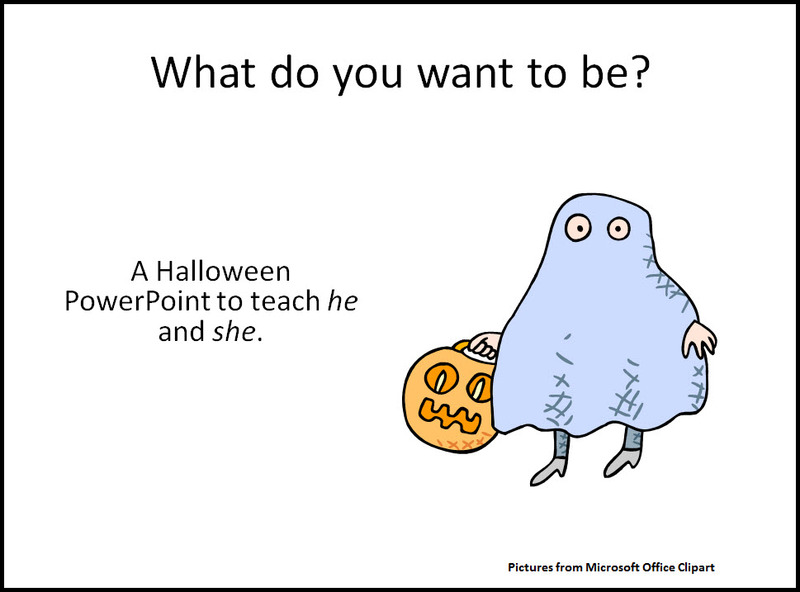 Use this PowerPoint, What do you want to be?, when teaching he and she.